was in my to-do list since long and when for Divya's guest post i decided to bake it for her readers. Hope Divya and you all like this delicious cake. 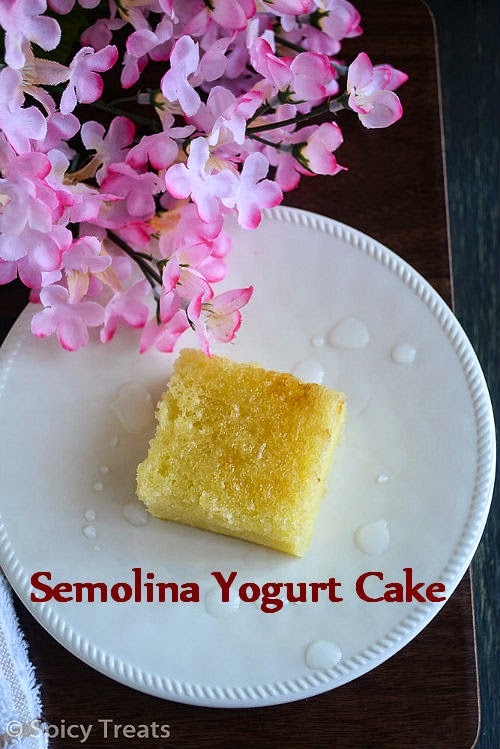 This is a very simple and easy to make cake, very soft, fluffy and so addictive cake. 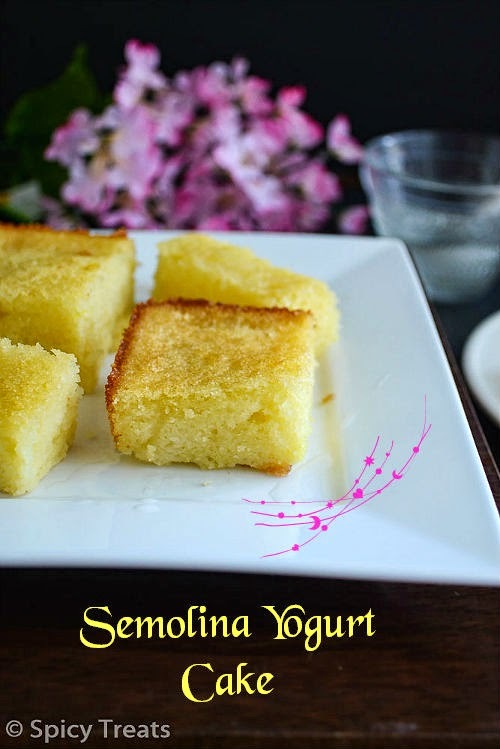 The taste of this spongy cake drenched with sugar syrup reminds of our traditional milk sweet/paalkova. Me and my family liked this cake a lot. If you are bored with regular flour cakes, just give it a try definitely you will love it. For the recipe and more please hop on to Divya's Space. That's it friends, please check the entire recipe at Divya's space and leave your lovely comments. Both are same i think..Most of the Basbousa recipe uses coconut...since i don't have coconut, so i skipped. but I have mentioned about the coconut in the Recipe Notes section. Yeah sangeetha love your version.. You are right in fact my dear I have seen many recipes they are using almonds too.. Wonderful busbusa version keep it up dear great work.. So soft and delicious looking cake. Awesome pics as well. Simply wow Sangee. I have bookmarked your honey semolina cake very long time before and have been asking amma to bring pure honey when she visits me. Adding this also in the list. very tempting picture and texture. nice post and cake looks super soft and yumm..
Well done Sangee, very attractive cake and love ur guest post at Divya's space. Looks awesome and just commented on divya space just now .Semolina flour means rava ?or is there anything like semolina flour ? Semolina is also called as rava/sooji...semolina flour is like the finest rava..not a smooth flour but not a granules very fine....you just pulse regular rava in blender for few seconds and use it. Hope this helps! woo yummy n spongy cake..
Lovely cake, looks delicious and so soft.. 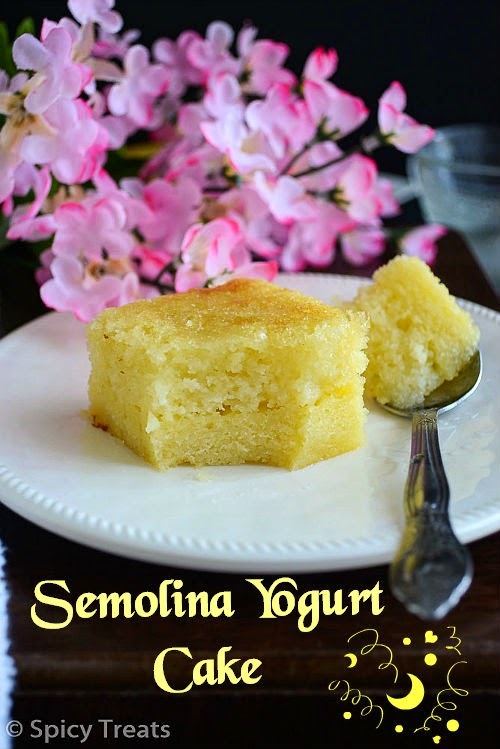 It has come out superbly, beautiful pictures, will check out the recipe..
Beautiful and tempting cake.I love the fact that your cake is so moist,most of the semolina cakes that I have tasted were dry and was not to my liking.I am going to try your version. Cake looks sooo soft and its very tempting! This cake looks absolutely lovely! Just checked the recipe too, I love it! I love your blog, happy to follow you!